My first trial making this 2 ingredients dough using self rising flour and Greek yogurt. The dough can be used to make pizza, bread sticks, pretzels and many more. I choose to turn this into Plum Hand Pies Using 2 Ingredients Dough. It comes together pretty quick but it was damn sticky to work with. Only manage to get a decent size of 6 hand pies out of this recipe. As I ran out of fresh plums so added some green apple to make up to 2 cups. 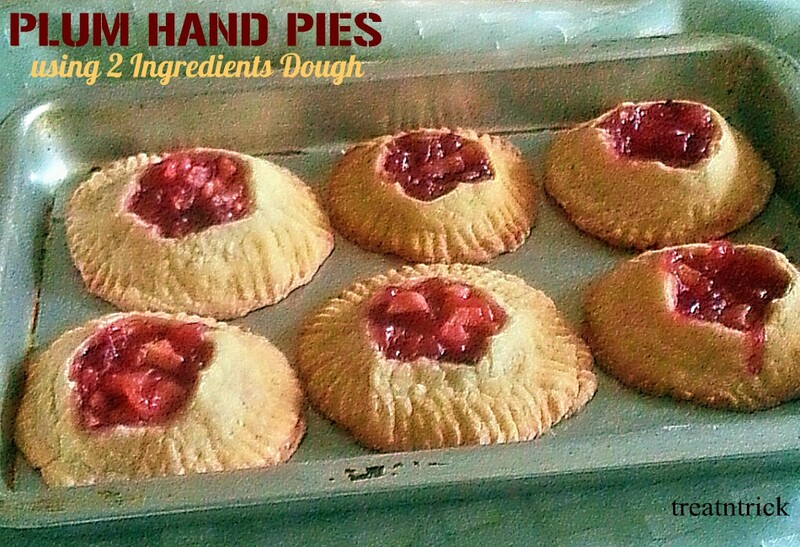 My Plum Hand Pies Using 2 Ingredients Dough turned out soft with crisp edges. Being a tart fruit, plums need more sugar to sweeten but am okay with this filling. 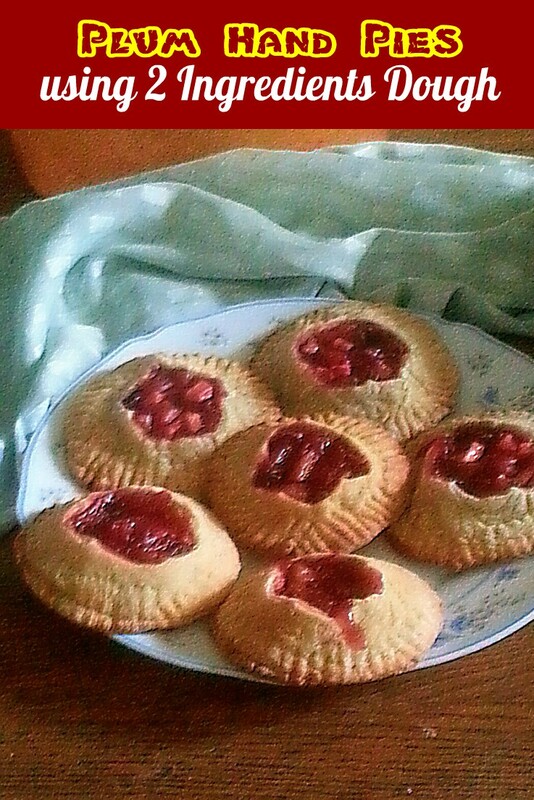 After many years, I have prepared this cold dessert but this time with different flavor. . 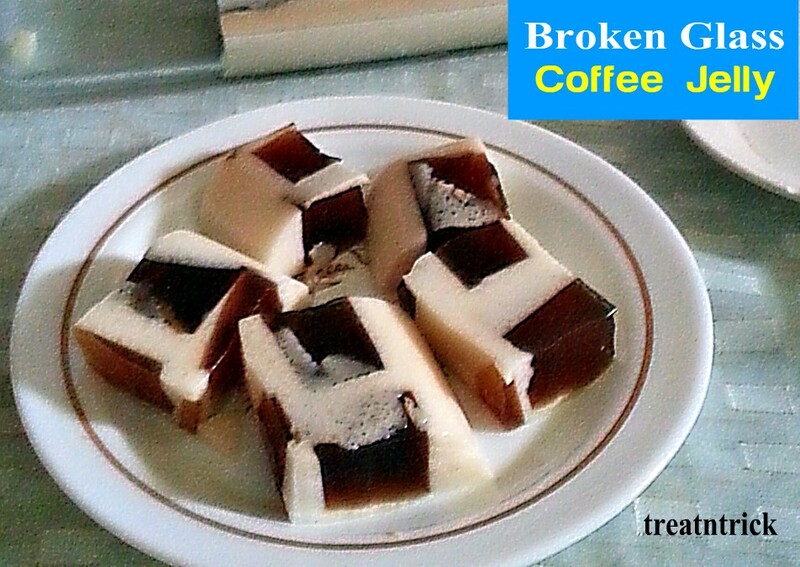 Using agar agar powder, this Broken Glass Coffee Jelly was fun to make with proper planning. 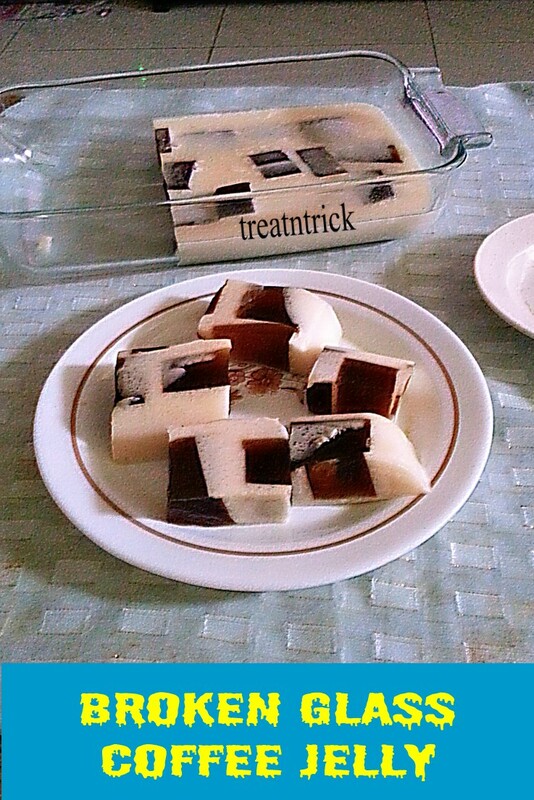 It consists of 2 parts, coffee jelly that uses instant coffee in it. This coffee part must be prepared first as to allow it to cool and cut into 1/2 in cube. Used a pack of agar agar powder, divide equally to make this Broken Jelly Coffee Jelly. Once you have coffee jelly ready. proceed to make milk mixture. During the process, I have discovered a vital step to remove the jelly smoothly. The secret was to apply a thin coating of vegetable oil before pouring over the cubed jelly. The 10 x 6 in glass tray was perfect for this recipe. 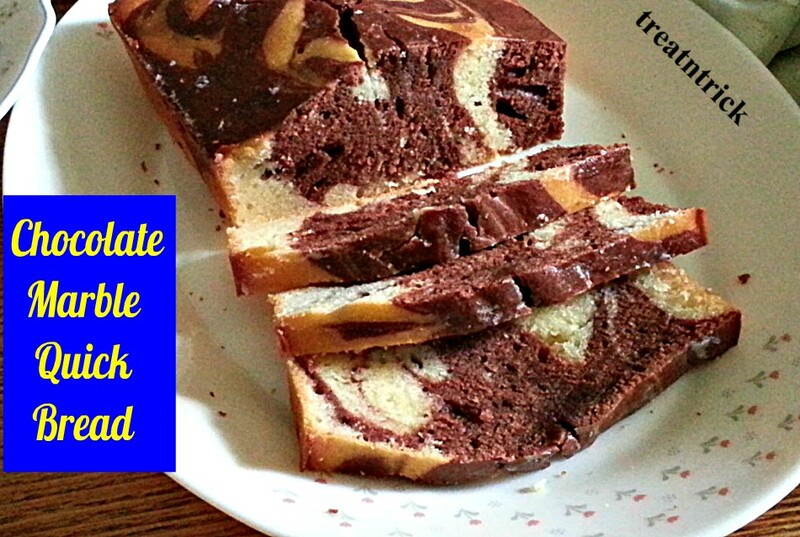 Serve this fresh homemade Chocolate Marble Quick Bread that was a breeze to make using a whisk. Have reduced the sugar a bit since I intend to ice the cake later. 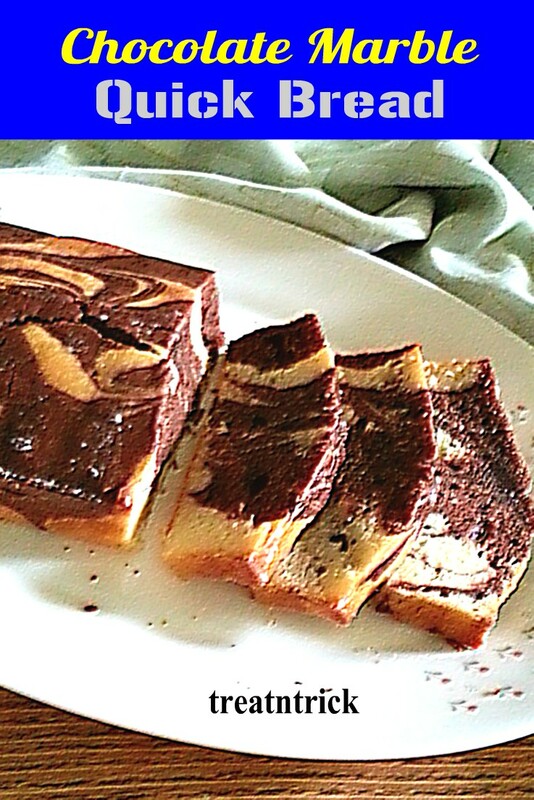 Am so glad that this Chocolate Marble Quick Bread turned out just right, the way I want it. You can sub yogurt with sour cream if you have but this MUNDELLA Premium Natural Yogurt I used did a great job. It is a perfect tea companion and swirls of vanilla and chocolate batter produce impressively beautiful treat. 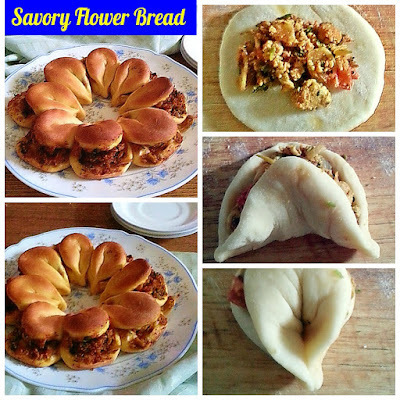 This Savory Flower Bread is soft, tender and tasty. 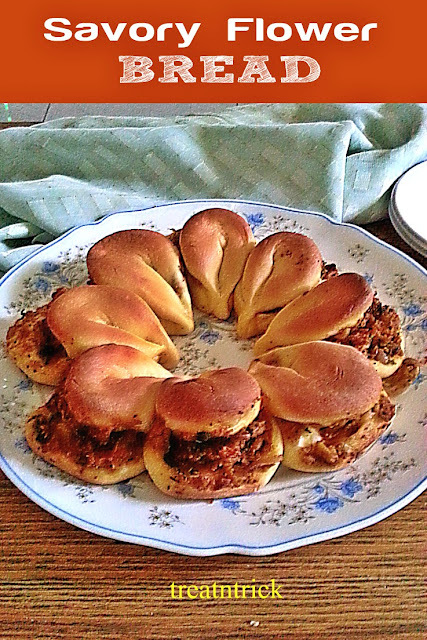 It was made with a basic sweet bread. I stuffed mine with egg bhurji (spicy scrambled eggs) and divided into 2. That means each portion has 8 petals. Turns into one big loaf that has 16 petals using 10 in pie plate or cake tin. Place 4 in the center, the rest around the tin.